YouTube personality John Campea tweeted out, about The Dark Tower, that the movie wasn’t as good as he had hoped, and was not as bad as he feared. That is about the perfect description of the new Stephen King adaptation starring Idris Elba and Matthew McConaughey. The Dark Tower is a series of novels written by King that has been rumored to be adapted into some form or another for years now. Sony has finally settled on a feature length film, after considering several options. In the film, young boy Jake (Tom Taylor) has dreams of another realm where the heroic gunslinger Roland (Elba) is protecting the life-sustaining tower from the evil Man in Black (McConaughey). The Man in Black is trying to bring the tower down which would open up the world to monster from outside the universe. These dreams lead Jake to be seen as a troubled, if not mentally unbalanced, young boy. When Jake finds a portal to the other world, he realizes that his dreams were more realistic than he imagined and it placed Jake on the path to an attempt to prevent the apocalypse. I really liked the first part of this film. The set up with Jake and his escape from the Men in Black’s forces and having to try to figure out what to do was really enjoyable. I liked the performance of Tom Taylor and I was buying into the story at that point. Unfortunately, the film could not maintain that level of excitement from me as the film felt too rushed and crammed together. You get that when you try to take material from an eight book series and include it into a movie of 95 minutes. So much of the film felt flat and unsatisfying. I am not someone who has read the book series, and I believe that those people who have read the books would really dislike what was given to the audience in this movie. Both Idris Elba and Matthew McConaughey are decent in their roles. Elba as the Gunslinger has some background given to him, but not enough to really flesh him out. Roland is on a revenge story to kill the Man in Black, and it is touched on, but I could have used more than what we got. And the Man in Black really was basically just an evil villain, without any real motivation or desires. That is okay, but I have always preferred a little more depth to my villains. Still, the pair of them do a decent job in the film. I disliked the ending sequence of the film. I thought it was extremely anticlimactic and disappointing. The final battle between Roland and the Man in Black was not the greatest film battle ever on the screen and it should have been considerably more. And I just don’t know what that means or why I should take it to heart. Perhaps I needed more background knowledge of the Gunslingers to understand the meaning of this quote, but “I kill with my heart”? And the whole “forgotten the face of his father” makes little sense outside of a nice piece of alliteration. What does it mean to have forgotten the face of your father? With that such a prevalent motto in the third act, I would have liked more context as to why this motto is so important. The mythos of this film is touched upon, but there feels like much more has been omitted than included, and this is a problem. If we had more information on the Gunslingers or the Man in Black or the tower or the monsters outside or any number of things, we would care more about what happens in the film. Unfortunately, there is only so much that they can cover in 95 minutes. 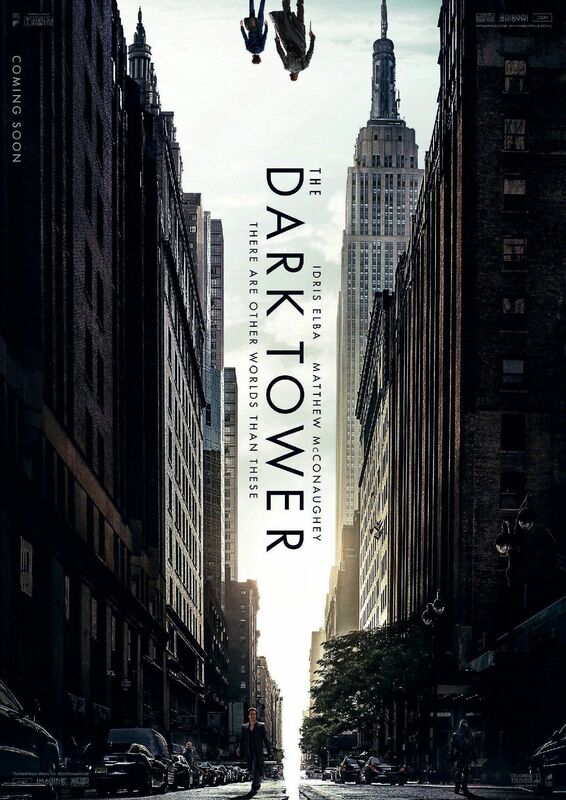 The Dark Tower feels like something that should have been a multi-episode Netflix series to properly cover the mythology and develop the characters effectively. Sadly, that is not what we got. Having said all that, the film could be worse. I liked the performances of the three main actors and the action was fine. The story was simple and straightforward and the film moves briskly. Too briskly? Yes, but if you head into The Dark Tower with limited expectations, you can have some fun with it. If you are hoping that this will be the next big Hollywood franchise and sustain film after film of action, you may be disappointed.